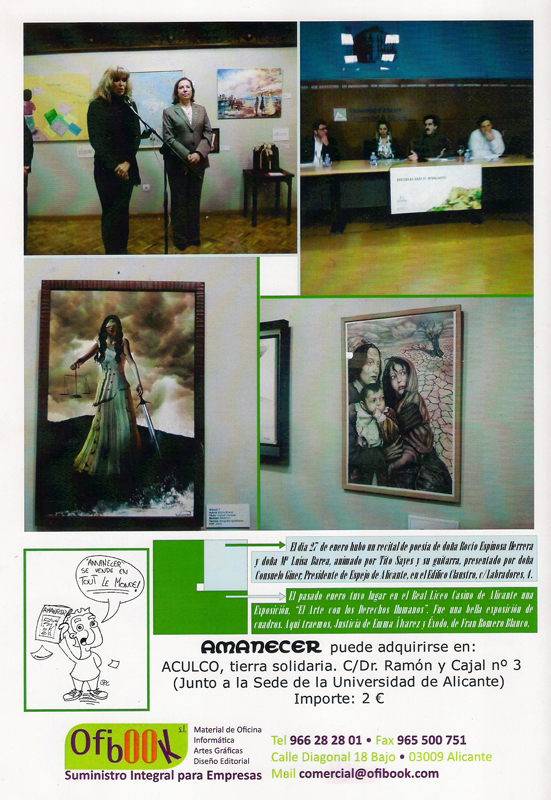 The other day I found Carlos Aguilar, the director and publisher of Amanecer Magazine, and told me that my work "Justice" was in the back page of the magazine of April-May. This has been a great surprise for me. 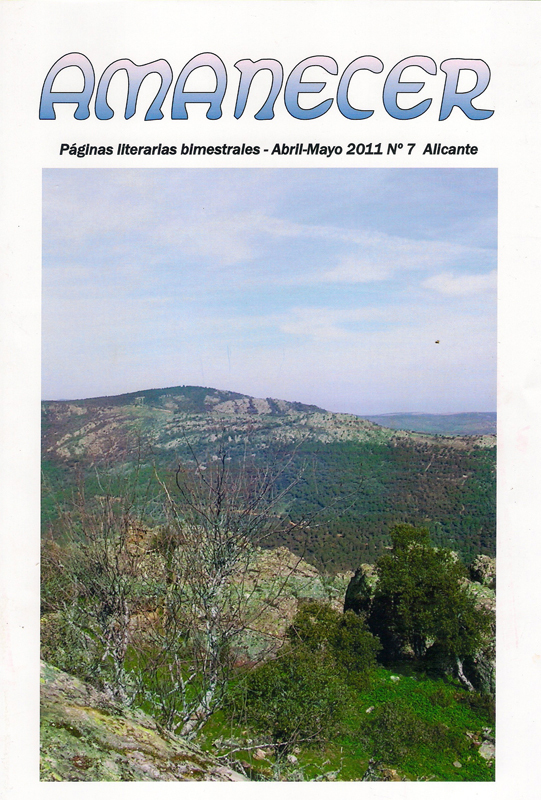 Amanecer Magazine is a cultural publication about art and literature. And it's always pleasing to find oneself in a magazine! That's NEAT! Good for you!